Understanding how the human psyche works is critical to successful marketing. In fact, creating an emotional connection with your customers has been proven to have 52% more business value than customer satisfaction. 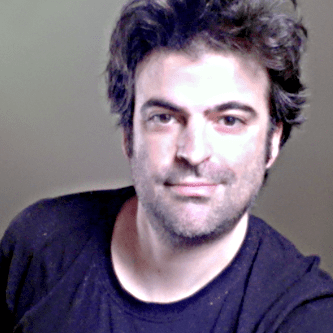 Motista Co-Founder Alan Zorfas suggests that brands striving for high customer satisfaction rates may have the wrong objectives. This recent evidence supports the earlier work of Antonio Damasio, the neuroscientist who heads the Brain and Creativity Institute at USC. In the late 1980s, Damasio made a groundbreaking discovery that explicitly linked the emotional center of the human brain to decision-making. His research coincided with the development of the MRI and neuroimaging, which allowed researchers to “see” brains in action. This kicked off a pioneering period where marketers began experimenting with neurotechnology-focused biometrics for research. As research continues to confirm the impact of emotions on marketing, the industry is increasingly turning toward neuromarketing as a way to improve results. Opponents decry the practice for all sorts of reasons, some valid and some not. Many view neuromarketing as a type of “dark art,” designed to force consumers into doing a brand’s bidding. And there’s been a lot of tech blog “echo chamber” coverage of it being newfangled, unscientific, nefariously manipulative, and a host of other unflattering adjectives. The reality is that neuromarketing helps marketers get past some of the human barriers in traditional market research, penetrating surface emotions to the subconscious, and measuring emotional markers in real time instead of during recall. Focus groups and consumer surveys aim to understand consumer preferences and attitudes. But asking people direct questions isn’t always the best way to get accurate answers. Political polls and their sometimes stunning inaccuracy demonstrate this for us. The results of the 2016 U.S. presidential election took almost everyone by surprise. How did the polls get it so wrong? A few factors likely came into play, including what some call the “shy-Trump” theory. The logic here is that voters were ashamed to admit to pollsters which candidate they truly supported. What might the predictions have looked like if the media soothsayers could have employed neuromarketing measurement techniques? Rather than relying on stated responses to stimuli (“I like this one better,” for example), neuromarketing uses other tactics to see what’s truly going on in the brain. The same techniques are applied whether you are asking about political preferences or doing research on a new product design. Biometrics, which measures the body’s response to stimuli by looking at blood pressure, skin response, breathing, heart rate and sweat gland output. Neuromarketing doesn’t, however, seek to replace traditional market research, but to supplement it. 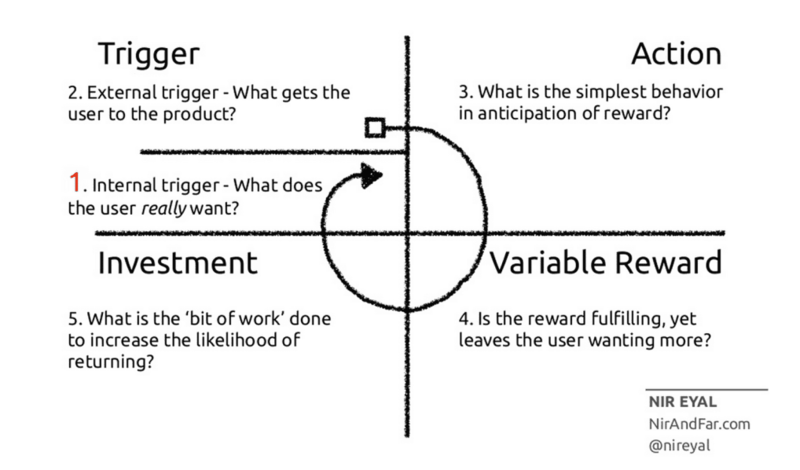 Neuromarketing metrics can help us uncover what’s really going on behind the stated answer or the expected response. Knowing this helps marketers gain a better understanding of product design, branding, advertising and customer experiences. The benefit? This makes it not only more lucrative for brands, but a better overall experience for the customer. So what’s the truth about neuromarketing? Is it total hogwash, or it is the magic bullet for brands? Is it accessible to marketers from smaller organizations that have smaller budgets? Is it even ethical? Let’s look at some popular myths about it, and set the record straight with some cold, hard evidence and insights from industry thought leaders. With the recent focus on fake news and the echo chamber effect of our online existence, many believe that what we consume has tremendous power over us– and that neuromarketers exist to leverage that power, for their clients’ gain, at our expense. The truth is that understanding how the human brain works can help brands build stronger ties with their customers. Marketers have an enormous opportunity to improve the impact of their messaging and customer experience, delivering real value for the buyer – and for the brand. There are some legitimate concerns about how the science could be used, but a pioneer in the field, Steve Genco, explains that the critics don’t see the full picture. The truth: Marketers can use neuromarketing to help design better products, packaging and brand elements that are primed to make a deeper emotional connection with consumers. But it’s not magic. Product-market fit assessments are still important and should take place before any neuromarketing evaluations. Consumers still have a choice. No amount of neuromarketing can make anyone want something they really have no interest in. Neurobollucks. Sure, there’s a plethora of books on the subject that speak anecdotally, and then try to draw firm conclusions based on disproportionately small data sets. There are indeed some companies out there picking up on the popular idea to get some mileage out of it – as there is in any relatively new field of study. What’s actually happening, based on firm, recent science, is this: the gap between what neuromarketers claim to know about the human brain and what the scientific canon does know is closing. Neuromarketing is pseudoscience no more, as academically and scientifically sound research is finding that consumer neuroscience can have tangible, applicable results. A recent Temple University study, for example, was undertaken specifically to debunk neuromarketing, and ended up proving that fMRIs really can predict people’s behavior better than direct questioning. The truth: Like anything in this age of fake news, beware the latest breathless hype. If you’re engaging in neuromarketing strategies or using other’s experiments to inform your work, be sure they’ve employed solid research principles based on determining the truth. I get it; there’s a lot of whiz-bang tech and science-y stuff behind neuromarketing. There’s hype (largely from people who stand to gain quite a bit by having us believe it) that this kind of consumer market research is earth shattering and entirely new. The truth is, ever since the invention of the wheel, humans have been using emotions – in other words, leveraging brain science and how it influences human behavior – to sell stuff. The practice of emotional branding goes back to ancient times when artists would imprint their goods with a brand. That “brand” did more than identify the maker; it imparted a cachet, an emotional signpost between the seller and the buyer. It was the beginning of brand recognition and loyalty. Likewise, applying psychological principles to improve ad effectiveness has been around for at least the last two centuries. Appealing to consumers’ emotions, needs, and pain points are as old as product messaging itself. Neuromarketing simply serves to visualize the results more effectively. The truth: Emotional appeal has always been critical to advertising and brand development. Neuromarketing can help us objectively evaluate how our products and messaging impacts our audience’s emotions and habits, offering real value to brands. Since the 1950s, when the debate about subliminal advertising raged (thanks to the now largely debunked Coca-Cola stunt), this myth has persisted. There has been enough anecdotal evidence to make some believe that it works to keep the myth alive. Reversed speech, sped up messages, silent tracks and flashing text – we’ve come to assume that these practices are not only commonplace, but that they work. In truth, the age of brandwashing is not yet upon us. There is a world of difference between seeing that a brain in engaged (via EEG, for example) and understanding why it’s engaged. “Maybe there is something that looks like a buy button inside the brain. What neuroscientists have discovered over the years is that our instinctual self has a greater impact on our final decisions than the rational us or even the emotional us.”- Patrick Renvoise, President, SalesBrain. It’s a much more two-sided relationship, he believes, as brands aim to understand consumers better and get down to what customers want. Because, according to Renvoise, customers, for the most part, don’t really know how to articulate that. The truth: While neuromarketing can certainly influence marketing strategies, there is nothing nefarious going on here. We don’t understand the brain that deeply. But for marketers working in the age of the “attention economy,” a better understanding of consumer preferences and their emotional triggers is worth exploring. Getting people to tune into your message is a major victory. Many of the most publicized neuromarketing studies have been aimed at understanding how we make our shopping decisions. Take, for example, the 2003 Emory University study cited by Scientific American that proved consumer identification with a product makes us more likely to buy it. It makes sense that we might think this is the sole or primary purpose of neuromarketing. It doesn’t help matters than many of the companies that offer neuromarketing services use that as part of their pitch. Strong emotional associations are what make lasting brands, claims Anna Stratigakis, a strategist at Brand Union, which is why she is a strong believer in leveraging emotion in one’s messaging – even in the B2B sphere. The truth: Neuromarketing is really about the science of human decisions. In traditional marketing, we ask our audience what they want, they tell us, and we build our products accordingly. 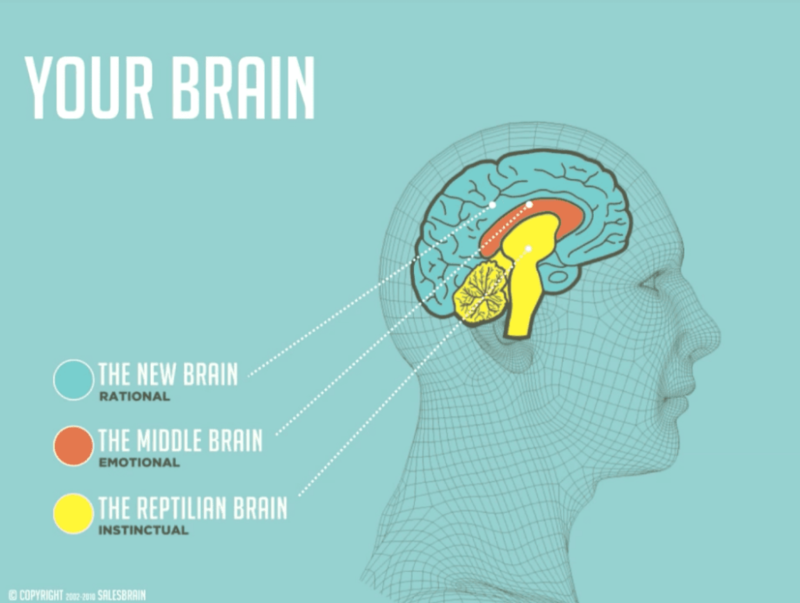 But the problem is that we don’t always know what our reptile brains want. Neuromarketing helps us truly understand what people respond to. The art and science of selling has existed almost as long as humankind itself. 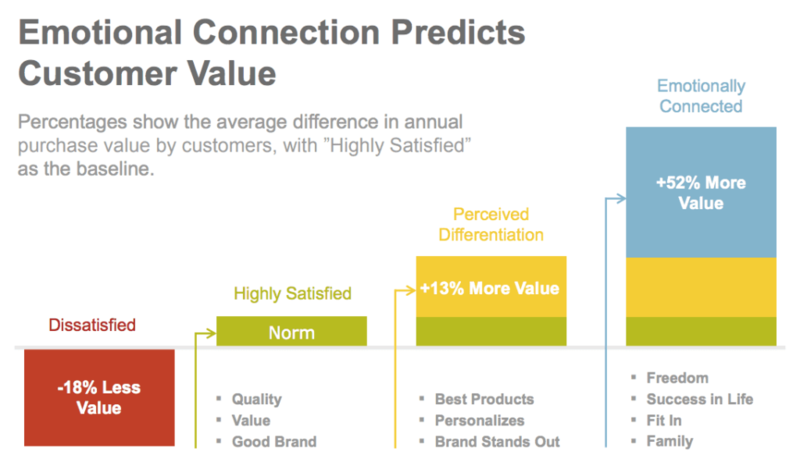 As science can help us better visualize what’s going on inside our customers’ heads, we can become not only better at selling, but far better at developing real relationships with our customers, based on an actual emotional connection. Neuromarketing actually improves the outcome for the customer, in that they truly can get what they’re after, even if they don’t actually know what that is. When we take a more serious look at neuromarketing and the promise it offers to brands and the consumer, we can move beyond the myths and truly embrace the significance of this paradigm shift in branding. Thank you for providing clarity. What are your thoughts about the use of so called psychology triggers, hypnotic words etc. used in marketing. Is there any tendency for vulnerability to unwanted actions or purchases? Glad you liked the post, Cheryl. There’s a fine line between helping someone to get something they want and exploiting. In my personal opinion, it comes down to the marketer’s motivations – not the tactics employed. I suppose the nature of the product (a book about the merits of exercise vs. a pack of Marlboros) has something to do with it to.